Dr. Hongjie Zhu came to the US in 1992. She became a certified and licensed acupuncture physician in 1993. From 1993 to 1995, she taught in Florida Institute of Traditional Chinese Medicine. In 1996, she founded the Chinese Acupuncture and Herbs, Inc.
Dr. Hongjie Zhu employs acupuncture and traditional Chinese medicine to treat and cure thousands of patients in a natural way. The breadth of her specialties encompasses internal medicine, external medicine, gynecology, and pediatrics. To enhance her ability to treat patients, Dr. Zhu has been trained and certified in homeopathy and homeotoxicology, which was recognized by The Society of Homeotoxicology of North America. Dr. Zhu’s medical practice has won public acclaim. In July 2000, Dr. Zhu was picked by the Orlando Weekly as the “Best Acupuncture Physician”. On May 16, 2001, Dr. Zhu was interviewed by the Florida Fox-35 News and the program was broadcasted live in the morning TV news. 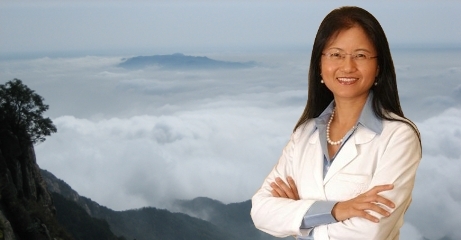 Dr. Hongjie Zhu has 25 years of experience in alternative medical practice. Her specialty is in holistic treatment, including acupuncture, Chinese herbal medicine and homeotoxicology. Her unique background allows her to combine the best from the ancient theory and the leading age technologies, and provide the optimal solutions to her patients. Dr. Hongjie Zhu sees her job more than a profession, but her true mission in life. She has passion for helping people regain and maintain wellness through a balanced holistic approach. She finds her deepest joy and reward in witnessing people return to health through her help, and empowering them to get well in a natural healing environment. Dr. Zhu’s specialty is in gynecology. She uses acupuncture and Chinese medicine to help infertility patients. For the last several years, Dr. Zhu has been working with fertility doctors to improve the success rates of IUI and IVF.